Principle purpose of this article is to explain Fundamentals of Personal Finance Investing. If you invest regular amounts of money over a consistent basis over a long period of time, you are more likely to be successful in reaching your current financial goals. By knowing only a few investing basics, you can begin with a variety of revenue options. 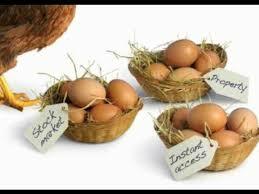 This article discuss on three types of Investments: Stocks, Bonds and Short-Term Investments. Short-term investments can include money market investments, certificates of deposit. After a short time frame, you can earn money on these investments.